Camera set to be king for the next generation of phones. Six. That's how many cameras are now rumored to be on both the 'not yet announced but utterly inevitable' Samsung Galaxy S10 and Huawei P30 Pro. UPDATE: The Samsung Galaxy S10 has been officially unveiled by Samsung. You can read all about it in our Hands on: Samsung Galaxy S10 camera review. Quite what those six cameras will do is currently unknown but just the merest hint that these handsets are to have lens sextuplets proves that cameras are the biggest USP for phones at the moment. The Galaxy S10's six-camera setup news comes from the Wall Street Journal, which has run a report that notes the new camera is currently going under the codename 'Beyond X', and will come packing a 6.7-inch screen 5G support and those oh-so important six lenses. Given it will be the Galaxy's 10-year anniversary it makes sense that there will be a lot of new features on this rebooted phone. There will also be two other variants, according to reports, which will come with five and three-lens setups. But that now sounds dull in comparison. This isn't the first time we have heard of a six camera setup - that accolade goes to the Honor Magic 2, but we're betting the will be a little different on Samsung's Galaxy range. 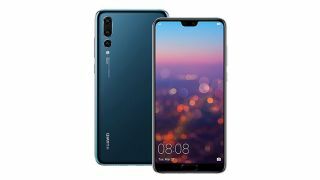 It's likely the Huawei P30 Pro will have six cameras as well. In an interview, European head Walter Ji hinted of what's to come, noting: "Next year we will definitely see more innovation in the camera, and now we have three, imagine four for next year." Four on the back and two on the front makes up the magic six. What could that fourth camera be? Well, the Huawei Mate 20 Pro has three fantastic lenses on the back but the one that was omitted from the handset was the monochrome lens, much loved on the Huawei P20 Pro. So could we see this plus the three on the Mate 20 Pro? It's certainly a possibility. Both Samsung and Huawei feature in our best camera phone guide but it's currently the Google Pixel 3 that has the top spot. What's interesting there is, that's a phone with just one camera on its rear.